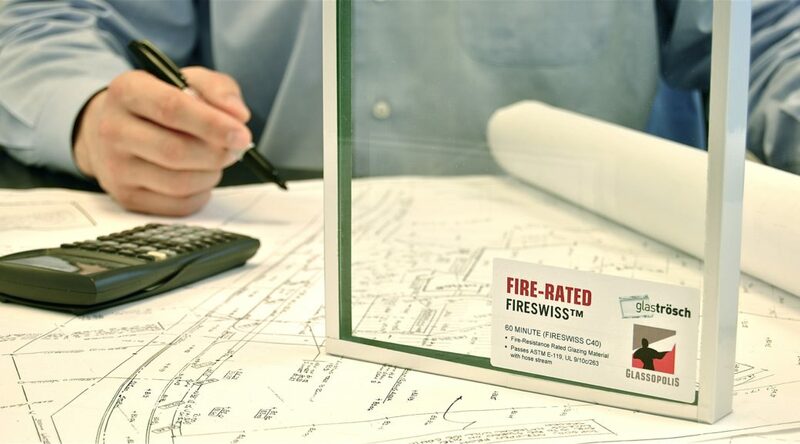 Fireswiss is a fire-resistive glass used in Temperature Rise Rated doors. It is a thick multi-laminate glass that absorbs the heat of a fire for its designated fire-rating in minutes. This keeps the non-fire side cold permitting its use in large sizes in TRR doors. Care must be taken by door manufacturers to mount the glass in a way that insulates the glass frame as well. We welcome door OEM enquiries about using Fireswiss in your TRR doors. Fireswiss passes ASTM E-119 when mounted in an appropriate insulated frame. 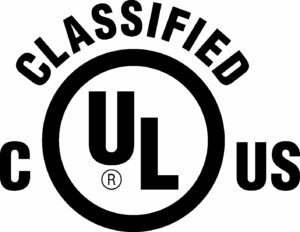 It is fully UL tested and certified. It passes impact-safety standard ANSI Z97.1 UA in large sizes.